Emotional Health and Wellbeing, is also referred to as mental wellbeing in this section. Just as people’s bodies can become unwell, people’s minds can become unwell too. 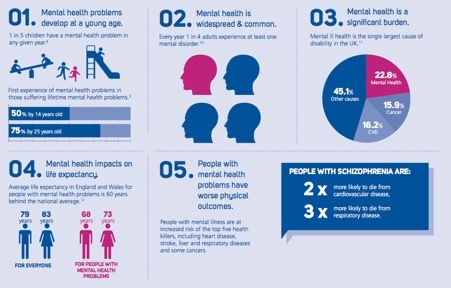 Mental health problems are more common than you might think, on average there are three children in every classroom have a mental health problem, and 1 in 4 adults in the UK will experience a mental health problem in any one year. 50% of mental health problems are established by age 14 and 75% by age 24 so it is really important to ensure children and young people have good emotional health and wellbeing. There are different kinds of physical illness and different ways to treat them. There are also different types of mental illness and different types of treatments for them. But mental illness is something most people find hard to talk about. This website will not go into specific detail on different mental illnesses, have a look at the Young Minds website for information on these. 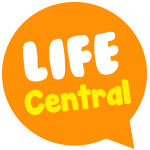 This website will instead focus on improving young people’s emotional health and wellbeing. To find out more about key facts, research and policy in the field of children and young people’s mental health in the UK have a look at the Young Mind’s website for professionals. Below are five things that, according to research, can really help to boost our mental wellbeing, the links will take you to NHS choices website for more information. Connect with the people around you: your family, friends, colleagues and neighbors. Spend time developing these relationships. Learn more in Connect for mental wellbeing. You don’t have to go to the gym. Take a walk, go cycling or play a game of football. Find an activity that you enjoy and make it a part of your life. Learn more in Get active for mental wellbeing. Learning new skills can give you a sense of achievement and a new confidence. So why not sign up for that cooking course, start learning to play a musical instrument, or figure out how to fix your bike? Find out more in Learn for mental wellbeing. Even the smallest act can count, whether it’s a smile, a thank you or a kind word. Larger acts, such as volunteering at your local community centre, can improve your mental wellbeing and help you build new social networks. Learn more in Give for mental wellbeing. Be more aware of the present moment, including your thoughts and feelings, your body and the world around you. Some people call this awareness “mindfulness”. It can positively change the way you feel about life and how you approach challenges. Learn more in Mindfulness for mental wellbeing. For reliable information about common mental health and behaviour concerns in children and young people aged 0-25 visit the Young Minds website. Find out about symptoms, possible causes and what you can do to help, with links to further information, resources and other organisations you can contact for support. The YoungMinds Parents Helpline can help people to think things through, so signpost parents and carers here if you need to, so they can talk to someone in confidence about their worries. Locally you can suggest a parent or carer talks to their child’s school nurse or GP about any concerns, in some circumstances the GP may refer them to CAMHS (Child and Adolescent Mental Health Service). You can find out more about CAMHS by clicking here. The Shelf Help booklist is aimed at young people, and offers advice about issues such as bullying and exams, as well as mental health conditions such as anxiety, stress and OCD. The titles have been chosen and endorsed by professionals. Copies of the titles are available for loan from the Central Library. More details can be found on the library web pages.